Schwarzenegger Admits to Having Illegitimate Child, What Does This Mean for California? 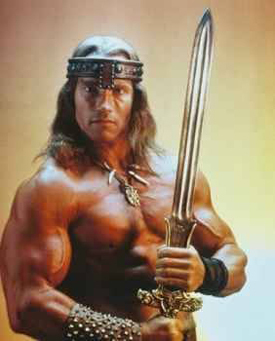 Arnold Schwarzenegger, former Governor of California, admits to and affair and the fathering a child with a member of his household staff over ten years ago. After Schwarzenegger told his wife Maria Shriver about the child, Shriver packed up and left the family’s mansion. Although Schwarzenegger claims the couple is working to overcome this obstacle, family friends aren’t so optimistic. I can’t help but thinking about all of the people who must have known and kept quite. How can someone, a father and a husband, betray his family and carry the shame for over a decade? What must the citizens of this great state of California think? We thought we elected a trustworthy man as Governor to protect our state but now, he is just like the rest. What does this mean for the political field in California? Will republicans have a chance in the next election or will family issues come into the spotlight? Will Schwarzenegger have a political future or will it be tarnished by this embarrassment? Perhaps he should have stayed in Hollywood. 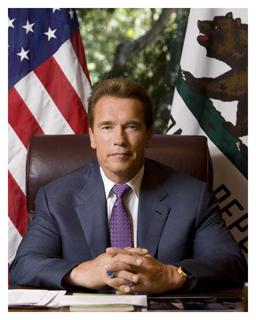 Californians, what do Schwarzenegger’s actions mean to you? Leave a comment and let me know what you think. A lot of men have illegitimate children. It doesn’t mean anything to me personally. I’m sure it was a painful disclosure for his wife and children. Trust he supports this child. I’m surprised that they even attempt such a thing…like you said there must have been others that knew. These politicians are surrounded by body guards 24/7 from what I understand. But his behavior became an issue during his first campaign for governor, in the 2003 recall election, when more than a dozen women said he had groped them over a period of many years.